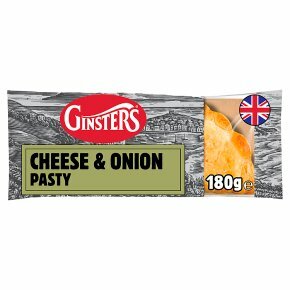 A blend of Cornish mature Cheddar made with West Country milk, caramelised onion, potato, spring onion, wholegrain mustard and a hint of apple purée wrapped in light puff pastry. British Pie Awards Melton Mowbray Bronze 2018. With Cornish head chef Chris Eden. A taste of Cornwall. 100% Cornish Cheddar. No artificial preservatives, colours or flavours. Suitable for vegetarians. These are guidelines only, appliances may vary. Please ensure food is piping hot before serving.Remove all packaging. For best results oven bake. Heat on full power for 1 min 30 secs (800W). Leave to stand for 1 min.